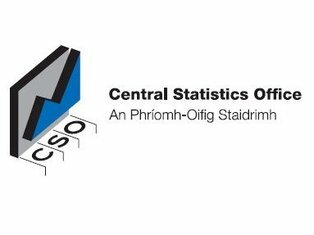 Residential property prices fell by 1.5% in the month of February, according to the latest figures from the Central Statistics Office (CSO). This compares with a decrease of 0.6% recorded in January and a decline of 2.2% recorded in February of last year. In the year to February, residential property prices at a national level, fell by 2.6%. This compares with an annual rate of decline of 3.3% in January and a decline of 17.8% recorded in the twelve months to February 2012. In Dublin residential property prices fell by 0.3% in February but were 3.0% higher than a year ago. Dublin house prices fell by 1.0% in the month but were 2.5% higher compared to a year earlier. Dublin apartment prices were 7.8% higher when compared with the same month of 2012. However, it should be noted that the sub-indices for apartments are based on low volumes of observed transactions and consequently suffer from greater volatility than other series. The price of residential properties in the Rest of Ireland (i.e. excluding Dublin) fell by 2.1% in February compared with a decline of 3.0% in February last year. Prices were 6.1% lower than in February 2012. House prices in Dublin are 55% lower than at their highest level in early 2007. Apartments in Dublin are 59% lower than they were in February 2007. Residential property prices in Dublin are 56% lower than at their highest level in February 2007. The fall in the price of residential properties in the Rest of Ireland is somewhat lower at 49%. Overall, the national index is 51% lower than its highest level in 2007. The CSO’s Residential Property Price Index is compiled using data on mortgage drawdowns from the eight main lending institutions in Ireland. It does not, however, take into account cash sales – which some estate agents are reporting to be around 40% of the market at present. Property Tax & Water Charges: Can we afford to pay any more tax?